My aim as a Therapist is to provide a safe and supportive Therapeutic environment in order for children to flourish. My name is Esther Tomlinson and I am the Director and Lead Therapist of 'Out of the Box Play and Creative Arts Therapy.' I am an experienced and qualified Teacher and Play Therapist living in Cornwall. I have over fifteen years of experience working in Primary and Secondary schools and experience working as a Teacher, Kindermusik Educator and Musician. As a teacher, I became frustrated that I couldn’t do enough to help every child in terms of their emotional and psychological issues. As a Play Therapist, I feel that I can make a huge difference in alleviating children’s distress. 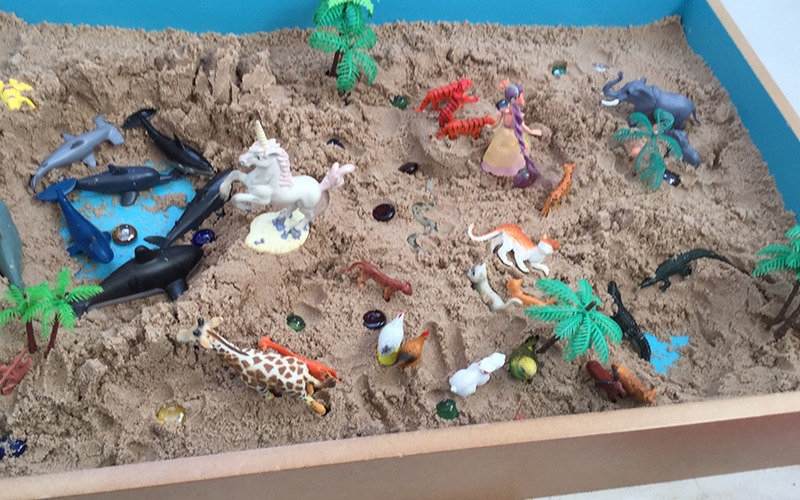 Using Creative resources such as sand tray, clay, puppets, music and art, children are supported to express themselves in a safe way and through their natural medium of play. My aim as a Therapeutic Play Practitioner in Cornwall is to provide a safe and supportive environment in order for children to flourish, become resilient and to empower and enrich the lives of children in order for them to reach their potential. As a Play Therapist, I work to PTUK ethical standards and governance and as such am registered on the accredited PSA register. I am committed to continuous professional development. As a Play Therapist, I have an up to date DBS, I’m fully insured, and receive regular clinical supervision. I'm also an experienced Foster Carer, so understand the needs of children who have been through trauma and abuse. We also have other therapists who are joining the team that bring years of experience working with children who have experienced developmental trauma, neglect and abuse. BA (hons) Music, PGCE Secondary Music, Post Graduate Diploma in Play Therapy, CTABRSM. Experienced Foster Carer. PAMS 4.0 assessor. Theraplay level one. Dyadic developmental Psychotherapy (level two.) Kindermusik educator.